World War II Pacific WIA-018 Eat This U.S.M.C. 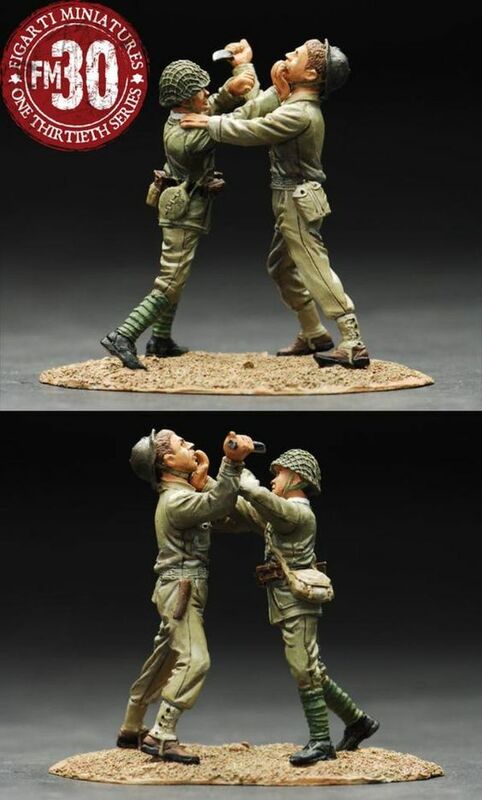 vs. Japanese - Made by Figarti Military Miniatures and Models. Factory made, hand assembled, painted and boxed in a padded decorative box. Excellent gift for the enthusiast.